Being able to speak English fluently is a skill that takes a lot of practice. With this beginner level English course, you will receive tips and exercises that will help you practice well. The course includes interactive visual learning content, audio lessons that you can use to learn anywhere and anytime, and clear and simple guides to English auxiliary verbs, 1st, 2nd, and 3rd person forms, and English action words. This beginner English course will first teach you basic verbs which will familiarize you with action words. You will learn the correct use of 'can' to talk about your abilities, as well as learn how to ask and reply to questions using the simple present tense of the verb. The course also includes audio recordings of native English speakers, which will greatly improve your listening skills and make you more familiar with the native accent. You will then study auxiliary verbs such as 'am', 'is', 'are', 'was', and 'were' and learn how to reply to auxiliary verb questions. The course will also cover the 1st, 2nd, and 3rd person verb forms which include 'I am', 'You are', and 'He/She/It is'. You will also learn how to form 'Do/Does' questions. Finally, you will learn how to use the subject-verb-object structure in sentences such as 'He learns English'. Millions of people all over the world speak English as a second language, and you can become one of them too! 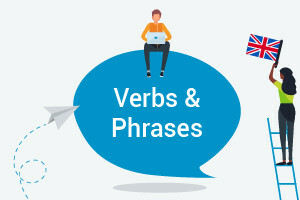 With the help of this free online Beginner Level English course, you will easily learn simple verb forms and phrases that will get you closer to your first perfect conversation with an English speaker. So, check out the course today, and start learning English action words and phrases in no time. Use "can" to talk about ability. Ask and reply to questions using the present simple tense.